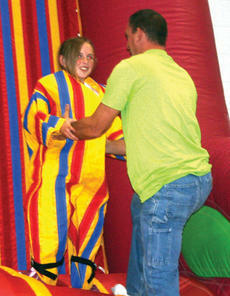 On Oct. 1, the Owen County 4-H Program held its annual achievement banquet. Owen County resident Melissa Petreshock had always dreamed of writing a novel. Now that her dream has finally come true, others in the county are taking notice. 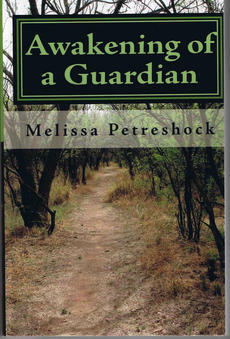 Petreshock said her novel was self-published Aug. 27. The young-adult novel revolves around a teenage girl named Elyssia Masters. Yes, Rockdale is still around even if you haven’t heard from us for awhile. Ms. Naomi Gaines celebrated her birthday Oct. 13. She is the oldest living member of Caney Fork, so we acknowledged her at our Homecoming Sunday. We even sang to her. The Carr family (Sunni, Bethany, and Seth) have purchased a home in Frankfort to be close to work and school. However, she will be with us a lot since she is keeping the farm. Also, she is Caney’s new WMU director. Dan Shepherd is still on leave from work due to his shoulder surgery. Sheila Wilson, a valedictorian and 2007 graduate of Owen County High School, was recently honored to be on Murray State University’s homecoming court as a 2009 homecoming queen candidate. Wilson was nominated by Murray State’s Agriculture Ambassadors. The Hesler Assembly of God Church, along with several local businesses, came together Saturday to help bring hope to Owen County. The event – God Gives Hope to Owen County – was held at the high school and included a job fair, health screenings, blood mobile, kids and youth zone, inflatables, free groceries and free lunch. Several booths were set up including the University of Kentucky, Campbellsville University, a Hispanic outreach team and youth services from OCHS. The Owen County Fair Board will hold its first annual fall truck and tractor pull fund-raiser Oct. 10. Fair board member Ashley Young said many people have requested a better carnival for the Owen County fair, which is held every July. Leslie Robertson, assistant superintendent of Owen County schools, made a presentation at the Kentucky Association of School Councils’ Annual Conference Sept.22-23 at the downtown Louisville Marriott. Robertson presented a three-hour preconference session on formative assessment for KASC members only and then hosted a one-hour follow-up session during the conference to answer participants’ questions. Robertson shared practical approaches to assessing students that help classroom teachers determine instructional needs. The crowning of the 2009 Owen County High School Football Homecoming Queen will be at 7 p.m. Friday before the Rebels’ game with East Jessamine. 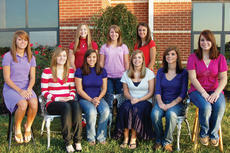 The senior candidates seated from left to right are Jensen Wainscott, Mary Kennedy, Lauren Lowe, Eko Kemper, Cori Eckart, and Emilie Davis. The attendants standing from left to right are freshman Hannah Neeley, sophomore Meredith Marston, and junior Danielle Hoop. The Owen County Woman’s Club is a civic organization that emphasizes its dedication to empower the city and county. Some of its projects are: college scholarships, children’s fund, beautifying the Owenton signs, project graduation, and its annual home tour. The Woman’s Club will host its annual home tour from 2-5 p.m. Oct. 4. Tickets are $5 and may be purchased the day of the tour at the Owen County Public Library library or from a club member. The home of Ms. Betty Lusby, at 1650 Hwy. 127 N, will be on the home tour. 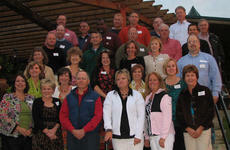 The Owen County High School Class of 1979 celebrated its 30-year reunion at beautiful Elk Creek Vineyards Aug. 22.